Kalara cannot guarantee accuracy of exchange rates shown. You should confirm current rates before making any transaction that could be affected by exchange rate changes. One of Thailand’s most idyllic islands, Koh Samui offers palm fringed white sandy beaches coupled with luxury accommodation, an endless list of health and beauty spas as well as a thriving culinary scene, Samui is a must-visit destination for those who enjoy a relaxed beach holiday with all the modern conveniences of home. 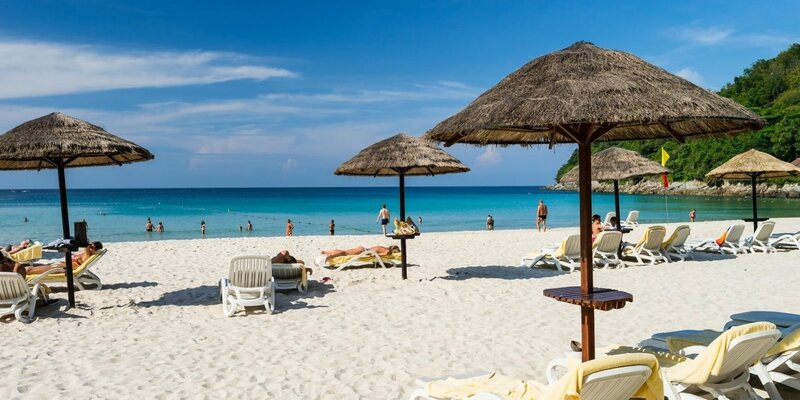 An ideal blend of city meets beach, Phuket offers the best of both worlds with a multitude of accommodation options on some of the most stunning stretches of beach in Thailand, along with modern shopping complexes, restaurants and bars. Great for friends and family with activities to suit everyone. 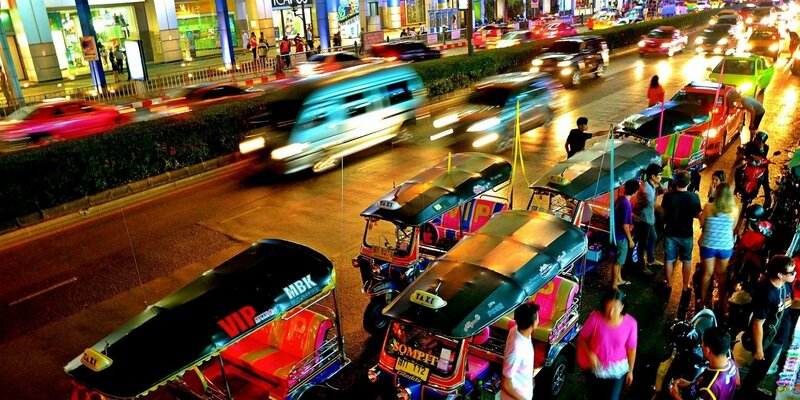 Bustling day and night, Bangkok is a city that never sleeps. A shoppers and entertainment paradise, there is a restaurant, bar, nightclub and shopping complex for everyone to enjoy. Immerse yourself in the history and culture of Thailand with Bangkok’s many temples by day then find yourself sipping on a refreshing cocktail whilst watching the hum of the city by night. Untouched in many ways, Krabi boasts towering limestone cliffs, soft white sand beaches, small coves and offshore islands. Krabi's beautiful coastline is one of the province's most attractive assets and here you can enjoy relaxation and a never ending array of watersports. One of the hottest beach destinations, Pattaya is known for its roaring nightlife with bars and clubs creating a buzz unlike any other. Offering an endless list of entertainment options, on land and on sea, Pattaya is a place for those who are looking for a holiday offering a balance of both relaxation and activities. 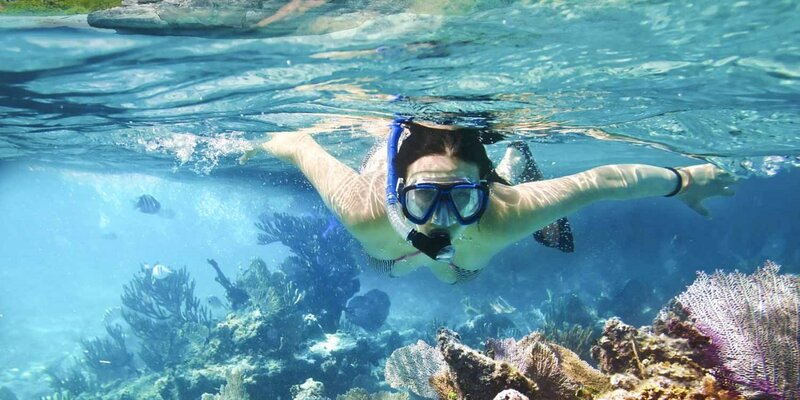 Famous for its Full Moon Party, Koh Phangan is also an island that offers true relaxation. Palm trees, white sandy beaches, yoga, meditation and a slow and steady pace makes this the ideal place to relax and unwind. If you feel like putting on your dancing shoes, you can most certainly stay around for the party to begin! Established in 2000 and based on the stunning island of Koh Samui, Kalara International Properties is a multi-faceted real estate company that operates on the often forgotten philosophy of first-class personalised customer service – we’re all about you, the customer. Without you, it’s simple - we wouldn’t exist. So, with you in mind we make sure that at every turn our communication is honest, stress-free and absolutely transparent. On top of our straight-up approach…we like to push the boundaries…we’re not your atypical real estate company....we like to think we are a LOT more than that. In fact, we can prove to you that we ARE a lot more than that. 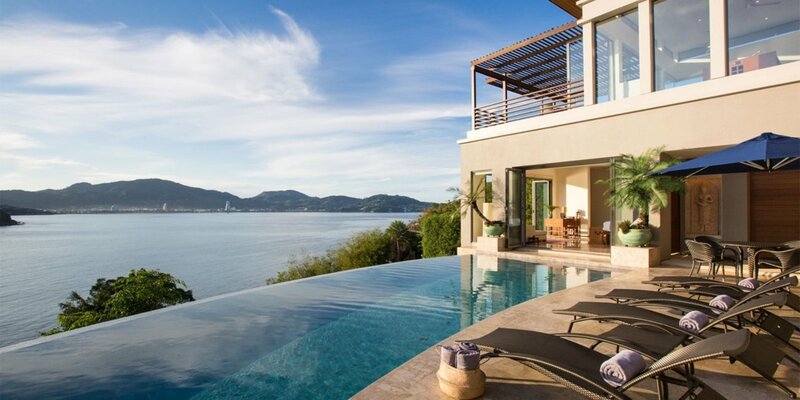 With a focus on all areas of the Thailand market including luxury villa rentals, development, management and more - we drive the standards of excellence to new levels with a team of worldwide professionals at the helm, ensuring incredible holiday experiences, premium builds and record-setting results for everyone involved. 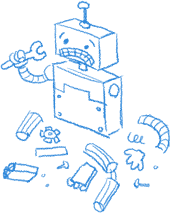 Looking for something outside the box? We make it happen....because boxes just aren’t our thing anyway. We design, build, sell, rent and manage beautiful properties. Kalara’s rise to real estate success over the last twenty years on Koh Samui is largely due to our immensely successful development projects. We have completed eight developments of our own, with one more currently under construction. All our homes are built to the very highest of standards, and our many years of experience enable us to complement western quality with eastern influences. We maintain, manage and rent all these properties on behalf of the owners and supplement the service with full budgeting and accounting procedures. No detail is spared in ensuring that our developments are kept beautiful, impressive and memorable for owners and holiday makers alike. 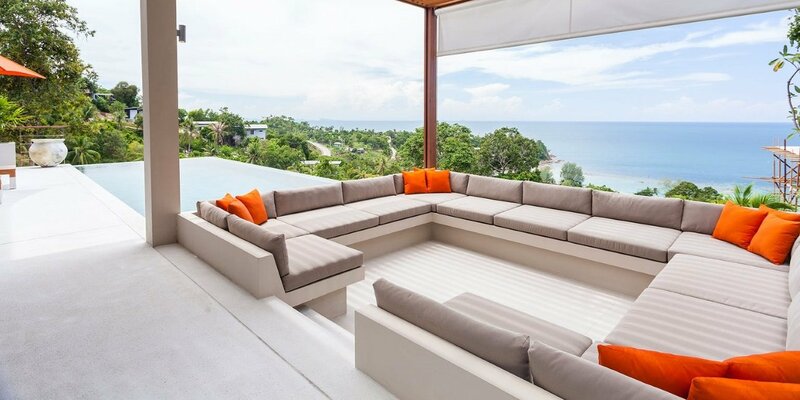 Cream Residence is a brand new Kalara development in the heart of Bangrak, Koh Samui. With 2 bedrooms and designed with modern luxury, Cream offers quintessential beach side living – ready early 2019. Now open, Kalara's exclusive new beach bar & restaurant Chi is an exciting addition to the Kalara Group. 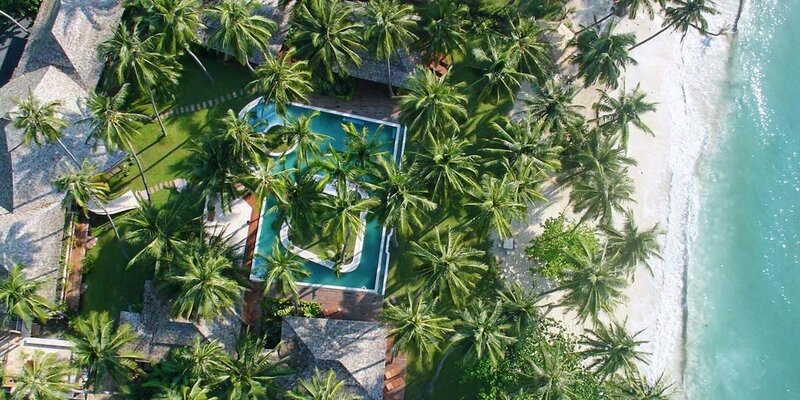 Chi is centrally located on a pristine stretch of beach in Bangrak (less than 5 minutes from LANNA, B1, Park Lane, Osho, Panu and The Gardens) and is for the exclusive use of Kalara guests. Serving modern cuisine, an extensive wine list, hand-crafted cocktails and more, Chi boasts a 25m salt water swimming pool and swim-up pool bar. Open early till late, Kalara offers a free shuttle service to and from all our developments (LANNA Luxury Hotel, CODE Luxury Hotel, The Gardens, Park Lane, Osho Apartments, B1 Apartments, Panu Luxury Apartments & Kalara Gardens) during opening hours, so you can enjoy this incredible place as part of your stay! The gardens. A select development of twelve two story, luxurious semi-detached mews houses arranged around a large swimming pool within a lush, landscaped and walled-in tropical garden. Guests are taken back by the tranquility and beauty of the development and many return year after year. Park lane. Two buildings with three mews houses in each make up this truly exclusive development. The homes are set in a manicured tropical garden containing a large kidney shaped swimming pool with Jacuzzi seat. Each unit has its own pool-side terrace, spacious living room with ceiling fan as well as air conditioning, dining area, guest WC and fully fitted western quality kitchen with oven. The two bedrooms both have their own balcony and bathroom en-suite. Each home is approximately 125 SQM and has a car parking space. Kalara Gardens, a select development of just 11 hillside mews houses set amongst landscaped gardens in Bang Po – the up and coming high-end residential area of Koh Samui. The development offers outstanding sea views over the turquoise waters of the Gulf of Siam and over to neighboring Koh Phangan. The units are set on two stories with two bedrooms, pool-side terrace, spacious living room, dining area, fully fitted western kitchen and guest WC. Each bedroom has its own en-suite bathroom and balcony. Osho is a collection of four unique beach front apartments located in the ever popular Fisherman's Village. The brief to our design team was for 5 star contemporary modern and they have surpassed all expectations. 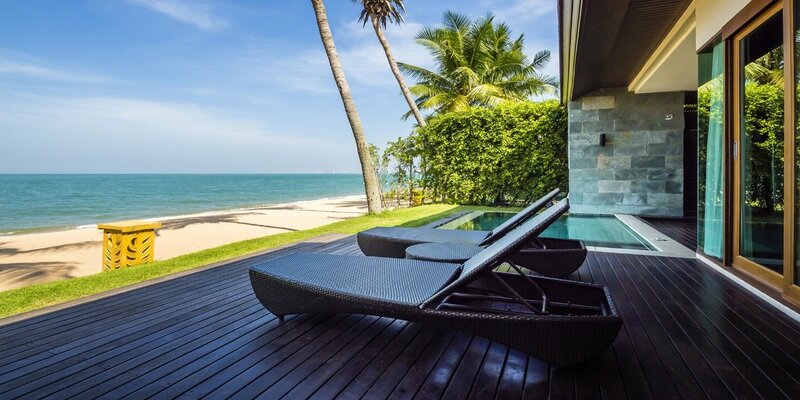 If you are searching for the ultimate in tropical beach front living in the hippest village on Koh Samui this is it. The beachfront, lower level apartment and first floor apartment are offered for rent on a nightly, weekly or monthly basis and come fully serviced with two full time staff. A Multi Award Winning Development By Kalara. 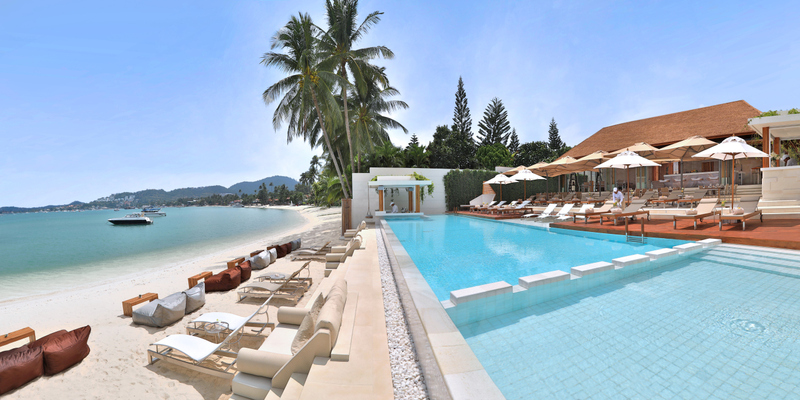 Panu is the pinnacle of beachfront luxury found in the heart of Koh Samui’s renowned location, Fisherman's Village. Panu is 2 duplex units which are 160sqm and 230 SQM in total area. No expense has been spared in creating an unrivalled level of build quality. fixtures & fittings and furniture are of the finest quality. Every detail is bespoke in every way. CODE is a beautiful and thoughtful development of 40 apartments set on 2.5 Rai (approx 1 Acre) of land. The location of Bang Po was chosen for several important reasons including its ease of access, close proximity to the beach, major attractions and its magnificent views across the Gulf of Siam to Koh Phangan and Koh Tao. Following on from our sold out CODE development, LANNA, is a collection of studios, 1 Bedroom apartments and 2 bedroom penthouses, designed, built and furnished to the highest standards. Found in the heart of Koh Samui. Bang Rak was chosen for its convenience of location to great beaches, shopping, the night life centers of Chaweng and "Fisherman's Village" and the airport. LANNA is set on a very spacious 3 rai of lush landscaped tropical gardens. Beach front B1 enjoys a premier location in the very heart of Samui's uber-chic "Fisherman's Village" with its wonderful selection of superb international standard bars and restaurants. The suites at B1 have spectacular panoramic ocean views over the shimmering turquoise water of the Gulf of Siam with the island of Koh Phangan framed in the distance. Kalara HQ. We chose the entrance of Fisherman's Village for the site of our new office due to it's ease of access and prominent position, in what is regarded as Samui’s most attractive and cosmopolitan village. The office has been 2 years in design and construction and is a blend of ancient Chinese shop house with a contemporary, modern twist. Some amazing properties that meet your needs will be available shortly! Or, contact Kalara for personalized recommendations.